Here are some things you can do online this summer while hanging out by the pool (get a lapdome). Get a legal pad and write done all the things I mention here. When you are done review it and see if you need to make some changes in your website and with your online marketing strategies. Determine if you have a plan and goals and if so, is the plan working? Are goals being met? Look at your site closely and evaluate – Is your site doing its job? Does the content sell and create trust? Is it user-friendly? Are you converting? Do all the links work? Are they linking appropriately? Do you like your own site? What would you change? Look at your PPC and your analytics – Are you converting? Do you have a high click through rate, but then they get to your site and leave? Do you have proper landing pages set up? Do these landing pages properly explain your services? Does the content create trust? Is it easy to contact you? Is your staff helpful when people do contact you? Social Media Marketing – Are you involved in it? If yes, look at your goals and plans. Are they working? How are they working? Are you communicating with followers? Are you engaging your followers? 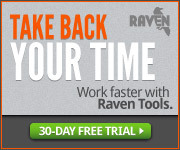 Are you reviewing your tracking tools (are you using them?)? Have your goals changed and if so are you adapting your strategies to meet these goals? Are you getting any business out of social media? Are you keeping track? Using coupon codes that are only used in your social media? Everyone is talking about social media, but if you have no plan in place, people to keep communication open and/or tracking tools in place you are wasting your time. Online Reputation – Are you monitoring what people say about your business and your employees online? You really need to be watching the net for reviews, complaints and anything in between. You need to be addressing negative issues and promoting positive ones. A bad online reputation can completely kill a business. You need to pay attention! WhosTalkin.com is a neat tool to use. 123People.com is good also. Check your reviews in Google and Yahoo maps. If you find someone spamming your listing or a competitor trashing you, report it. Take a look at your answers to all these questions and try to be honest with yourself, is your online visibility positive? Is it helping you? Are you happy with the results?